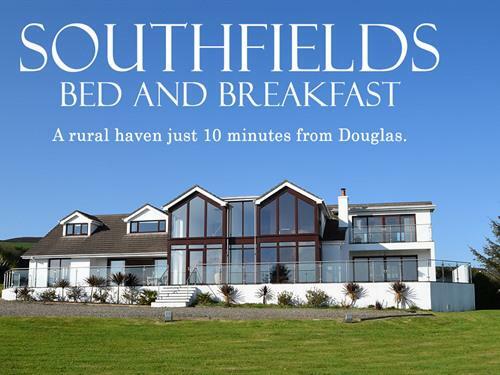 Southfields is a stylish, contemporary Bed and Breakfast with stunning, panoramic views over open countryside to the distant coast, yet only 10 minutes drive from the Isle of Man’s capital, Douglas. Whether you are coming to the island for a business trip or a relaxing break, Southfields' central location makes it an ideal base for both work and pleasure. Situated at the end of a country lane and set in almost three acres, this impressive glass-fronted property is a haven of peace and tranquility. Surrounded by farmland, with horses, sheep and cows grazing in the fields, it feels a million miles from the hustle and bustle of the city. 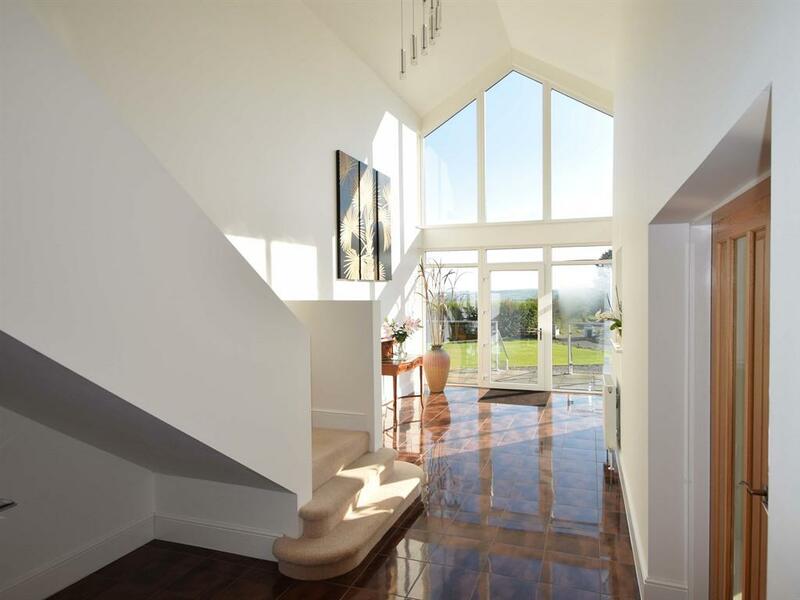 The light and spacious interior purveys an atmosphere of relaxation and calm, with the panoramic sweep affording views of the rolling countryside from every room. Each stylish guest room offers bright, spacious accommodation with countryside views, built-in wardrobes, en-suite bathroom, walk-in shower (two rooms have separate baths), free wi-fi, flat screen TV and Tassimo drinks machine providing high quality Twinings tea and Kenco filter coffee. 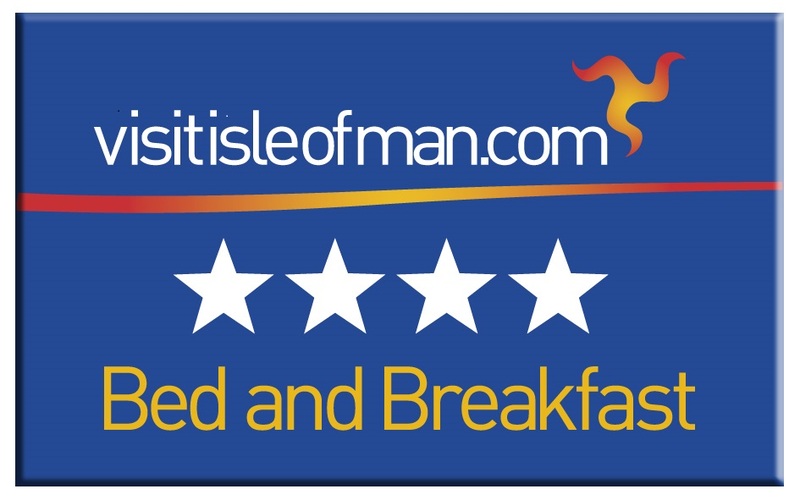 Cooked breakfast includes high quality sausages, bacon and eggs, and is served in a bright, attractive dining room which benefits from the morning sun and overlooks a decked patio. Scrambled eggs with smoked salmon, Manx kippers or vegetarian options including grilled halloumi are also on offer. Breakfast is served from 7.15am to 9am and we're happy to do an earlier breakfast if you need to check out early to catch a ferry or flight. Alternatively we can leave a pre-packed breakfast in the fridge for you to take with you. You are assured of a warm and friendly welcome at Southfields and we aim to make your stay with us peaceful and relaxing. Ample off road parking is also available and there is a large secure garage for bikes and motor bikes if required.